The 10mm Pearl Harbor Gold Dala ! 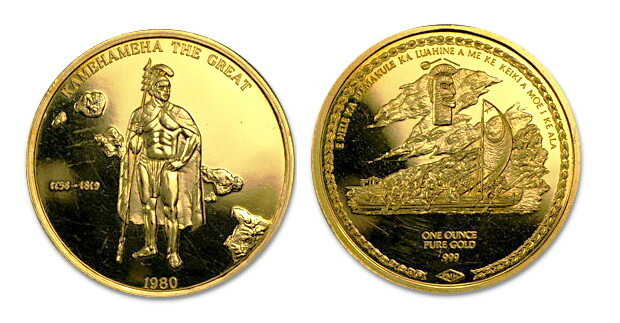 Royal Hawaiian Mint records indicate that the obverse is dated 1990 with portrait of King Kalakaua and the text “Kalakaua I King of Hawaii”. 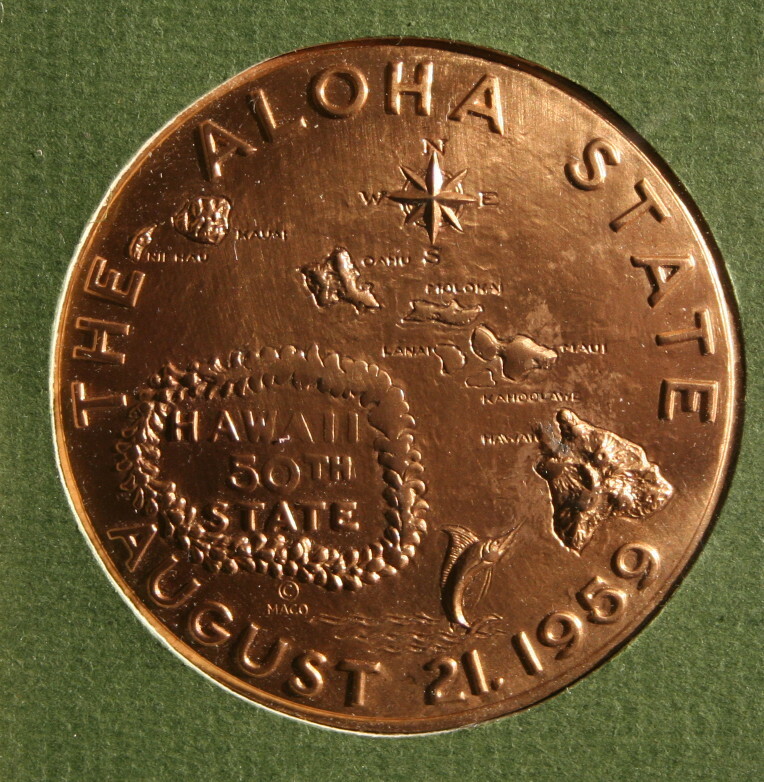 The reverse is dated 1941 – 1991 with the island of Oahu and the Pearl Harbor Memorial. It is 10mm in diameter and struck in gold. Records also indicate a very minuscule mintage of 24 specimens. 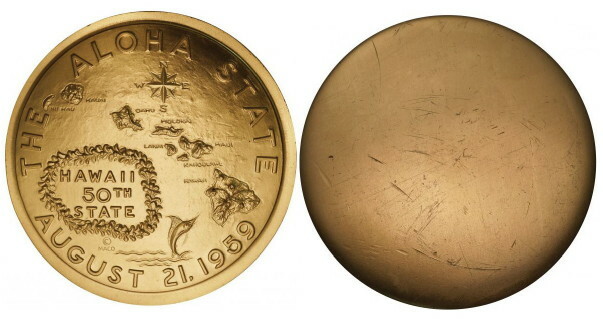 As a background note, the Royal Hawaiian Mint struck gold in 17mm diameter (1/10 ounce) and 13mm (1/20 ounce). 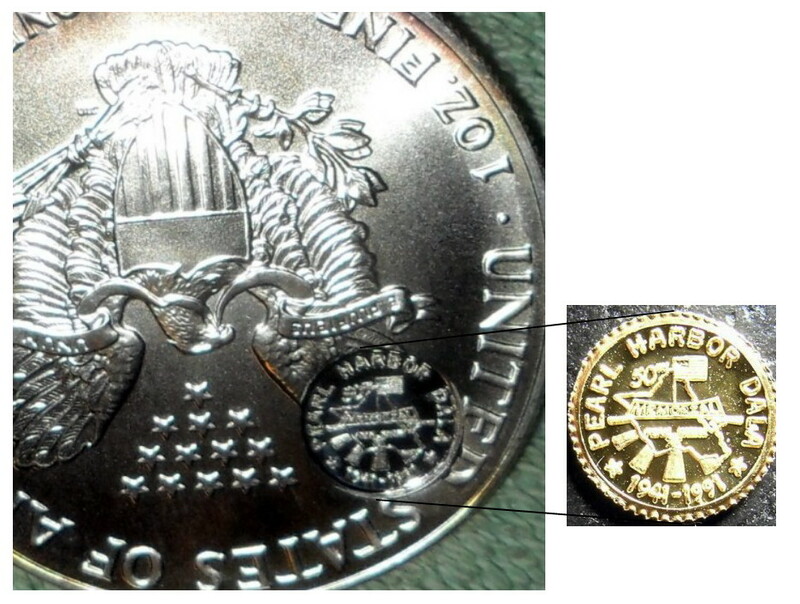 In 1991, only the 1/10 ounce gold (17mm) was struck (with a Liberty Head obverse with a Pearl Harbor designed reverse). The big question is why was a 10mm gold coin struck? The 10mm dies (obverse and reverse) had another purpose. It was used to counter-strike a number of 1991 US Silver Eagles! 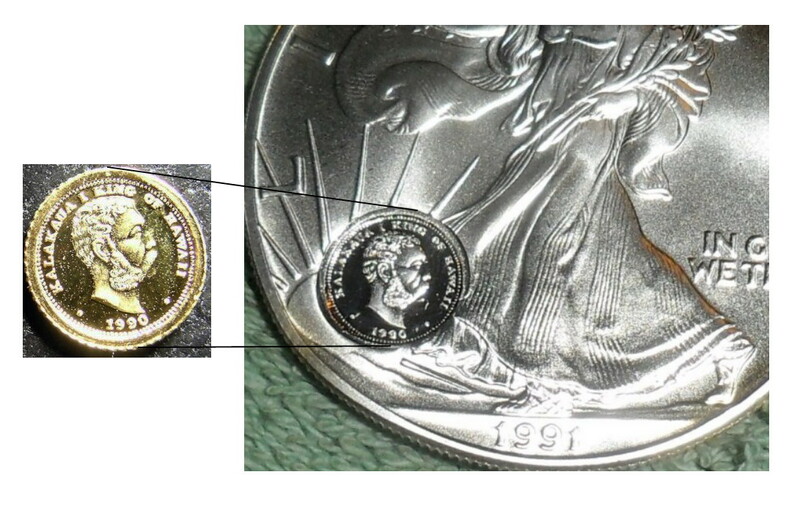 Records indicate that ten 1991 US Silver Eagles were counter-struck with the 10mm dies. Images are provided to as visual evidence and confirmation (click the image to expand the size). Here is a listing of the RHM dies that were used as counter-stamps. 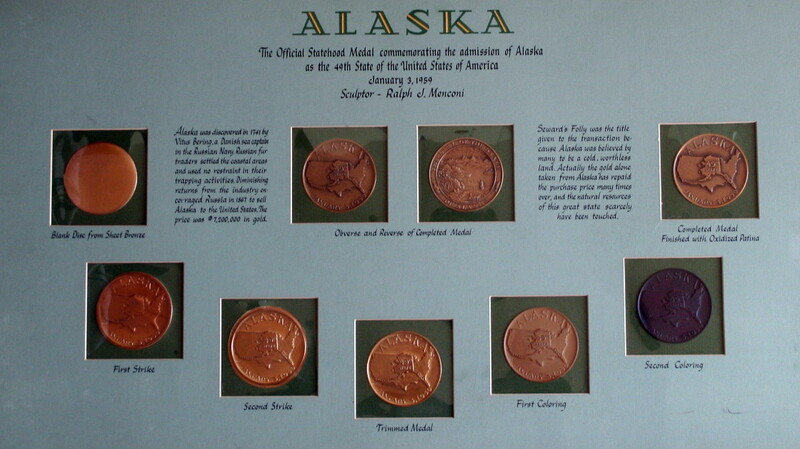 The bolded entries are coins using the original die(s). In summary, the 1991 Pearl Harbor Dala 10 mm dies are the most elusive as a coin and as a counter-stamp. 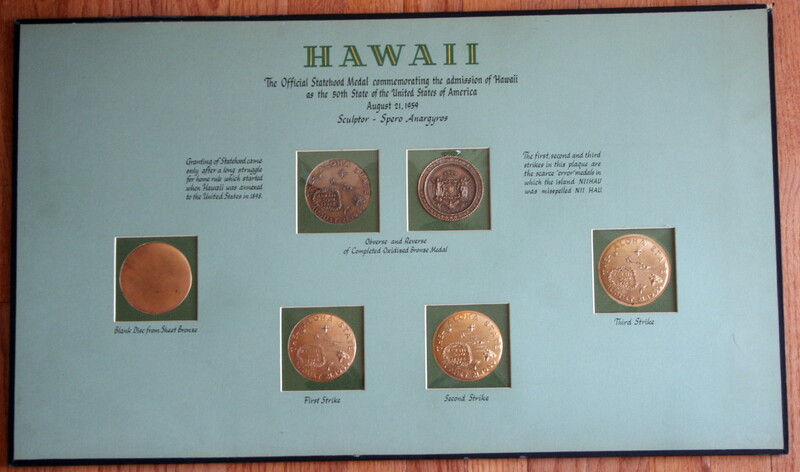 I’ve been gauging the market on Royal Hawaiian Mint (RHM) products at a well known online auction site. Several of the counter-stamp items are being offered over the $1000 threshold. It seems that the sellers perceive these are rare products. Let’s see what the market can bear for price? However, let the buyer beware. Do your research! Sorry, the sources are kept confidential for my research/writing. Using the Fuld rarity scale. The series is a R-3 (501- 2000) specimens. The counter-stamp variety is an R-4 (201 -500) specimens. Unless you have money to burn…the $1000 for an R-4 specimen is too high for my budget. 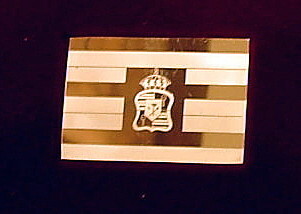 Below are images of other RHM counter-stamp products. sources …. 2013 want price and 2008 purchase price (note the seller choice of ID match). I’ve located, purchased, and added a 2M-200 to my collection. It’s a 1989 Unofficial HSNA medal, 13mm, 1/20 ounce gold, 0.999 finess. 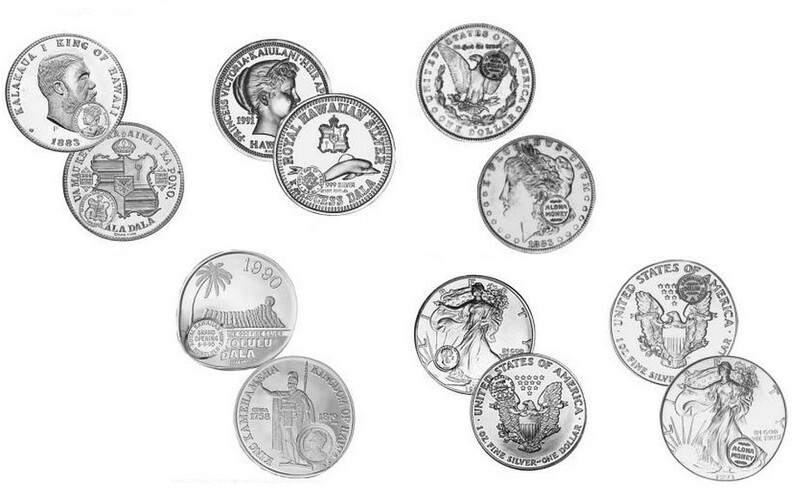 Struck by the Royal Hawaiian Mint with a mintage of a mere 100 specimens.